Time to have a little fun. 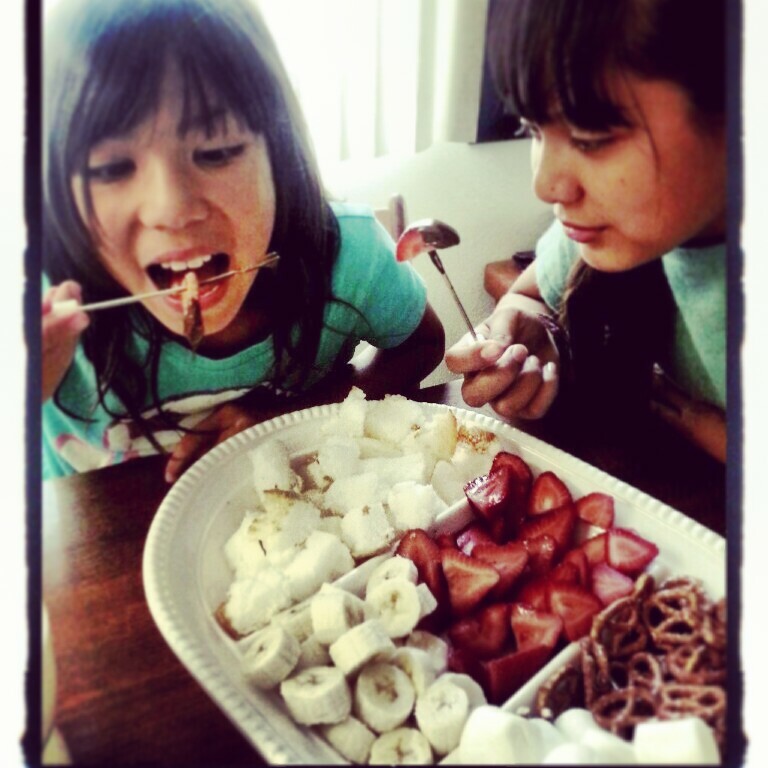 I decided to expose them to the world of chocolate fondu. We got together in the kitchen and cut up bananas, strawberries, Angel Food cake, and un-bagged pretzels and giant marshmallows. Heaven. We put it together on the table and enjoyed. It was a quick little something we could all participate in. 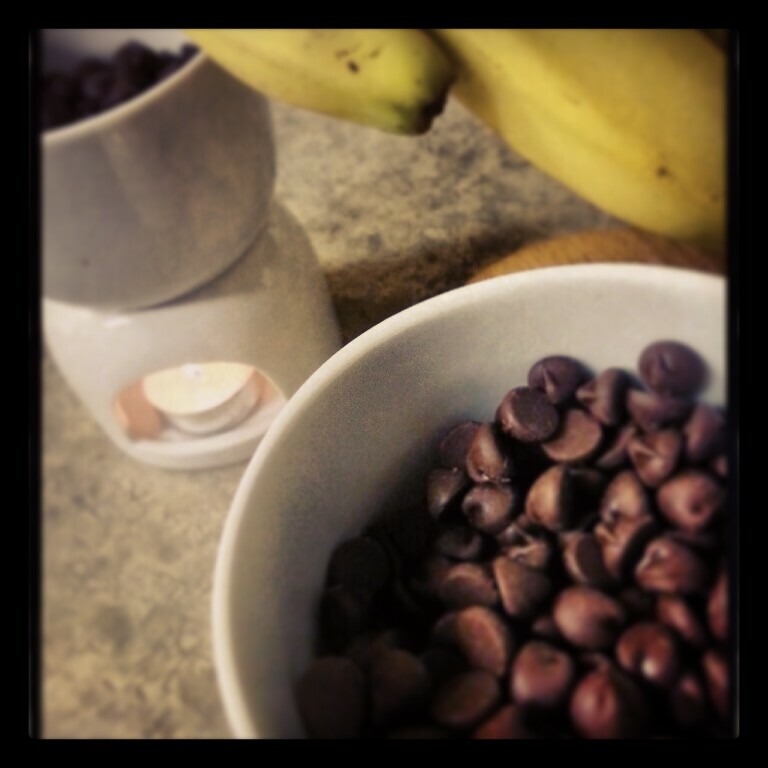 After indulging in dark chocolate decadence it was movie time. With that we walked into the kids room, piled into their bed, and let Robin Williams tell us a funny story about adjusting to change. We laughed and cuddled watching the antics of a single father try to figure out how to be a part of his kids lives. Out of nowhere my 9yr old turns to me and says, “I am glad your not with Alver anymore. 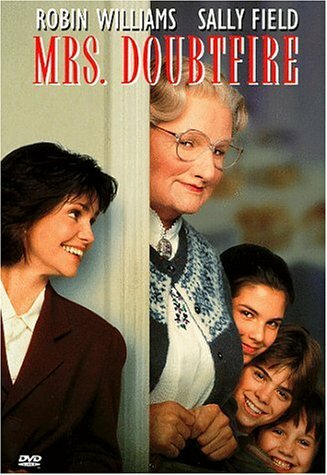 I like it when your happy.” I was certain that Mrs. Doubtfire would bring up questions about their father and I. I was not prepared for questions or comments about the abusive relationship I left a couple of years ago. Holly’s comment came after Miranda explains to Mrs. Doubtfire (her ex-husband in disguise) that she didn’t like who she was when she was with her husband. On more than one occasion my children have expressed that they love who I am better as single parent than in an angry relationship. I think that is one of the most difficult concepts to grasp. As tough as it can be as a single parent, in the long run, it is so much healthier than staying in an unhealthy relationship, especially an abusive or violent one. Part of the reason I stayed in mine so long was because I felt my children needed that family unit in order to have all of the components necessary for developing into complete adults. I felt if I didn’t, they would somehow be emotionally vitamin deficient and have to struggle harder to make up for what I couldn’t provide. But the truth is, I was hurting them more by keeping them in an atmosphere of violence and fear. So here is to the never ending cycle of change…cheers. Happy on life and full of chocolate dipped delectables we laughed and shared stories into the afternoon. Our little evolved family now happy and thriving.